Developed by Jonathan Teboul, Contacts XL 3 is a comprehensive contact manager app for the iPhone. With the ability to easily create groups, mass-SMS/email contacts and groups and much more, Contacts XL 3 is a simple, robust, and powerful replacement for the native iPhone contacts app. Featuring an intuitive menu and navigation system modeled on the official Facebook app, you can access all the in-app functions in Contacts XL 3 from the one starting point. You can view and edit existing contacts, as well as add new ones in a flash. 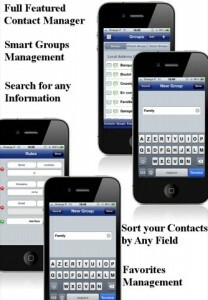 You can create and manage groups, view birthdays, add favorites, view contacts by category as well as search for contacts. The Facebook sync feature allows you to import contact data and photos from Facebook, with the ability to retrieve information from your friend’s profiles that they have made available – including name, address, birthday and profile picture. 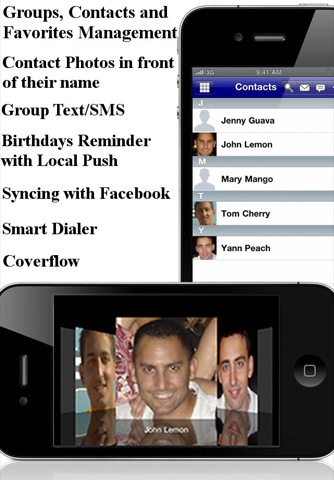 You can browse contacts using coverflow, and then initiate a phone call or FaceTime after simply tapping on their name or photo. The group email and text function is the true selling-point for this app. With Contacts XL 3 you can scroll through your whole contact list, or through specific groups, and tap a check-box next to their name if you want to include them in the SMS, or in the case of an email, you can check if you want the email to be sent to them, or if you want to Cc or Bcc them in. Its a feature that will save you both time and hassle. 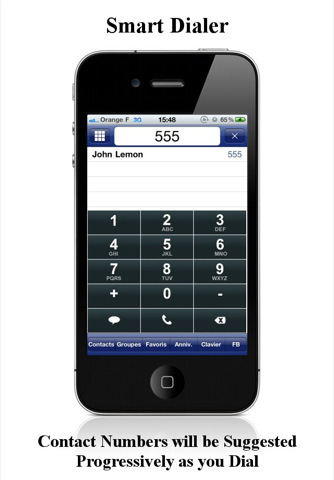 At just $0.99 and with all the features you could possibly ask for in a contact manager, Contacts XL 3 is your go-to solution for contact management on your iPhone. 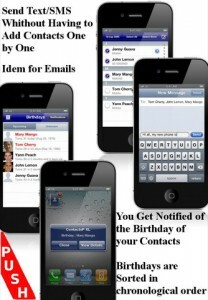 Contacts XL 3 is compatible with iPhone, iPod touch, and iPad. Requires iOS 4.0 or later.